Judges get in a whirl about technicalities because the courts are overwhelmed. The merits of the cases are the same: people aren’t paying their mortgages. This statement is wrong on so many levels, I only have time to address a few. Terry Rice acknowledged the document several months after December 5, 2007, but back-dated it to reflect a the earlier date. Numbers 1 and 3 are fraud; number 2 is gross incompetence. Maybe McSurdy is going for 2? In any event, for the Law Office of David J. Stern to submit an improperly-notarized document like this is not a mere oversight. We note at the outset that a trial court, in passing upon a motion for summary judgment, is bound by the procedural strictures inherent in Fla.R.Civ.P. 1.510… [T]he procedural strictures inherent in the Florida Rules of Civil Procedure governing summary judgment must be observed… The procedural strictures are designed to protect the constitutional right of the litigant to a trial on the merits of his or her claim. They are not merely procedural niceties nor technicalities. McSurdy blames the courts for this one – they’ve got so many foreclosure cases, he claims, that they’re taking extra time to parse each one for all kinds of minute flaws in the evidence! Actually, quite the opposite is true, and as Judge Rondolino describes, most judges are too busy to parse through all the paperwork submitted to the court in a meaningful way – until they realize how often that paperwork is completely inadmissible. And that’s a large part of the reason why David J. Stern and law offices like his operate the way they do – because for too long, too many foreclosures went unchallenged and too many judges didn’t notice the fakery until it was pointed out to them. And now they’re experiencing some buyer’s remorse. 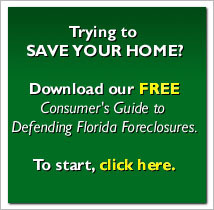 The merits of these cases are often the same: plaintiffs, who don’t own the loans, don’t have the legal right to enforce them, and who, in many cases, fraudulently induced the borrowers to default by promising them modifications if they would only stop paying, are systematically throwing people out of their homes by submitting fraudulent evidence to paper over the fact that they didn’t do their only job – keep track of the loan. And their lawyers are systematically forging documents for submission to the court, in an attempt to paper over the sins of their clients. That’s the merit of these cases. And they’re all the same. Forrest McSurdy should really reconsider his remarks, if he intends to continue practicing law in this state.